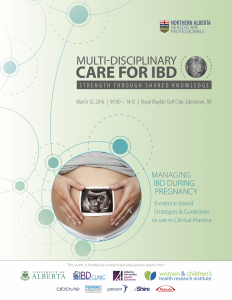 What is MCIBD: Multidisciplinary Care for IBD conference series? 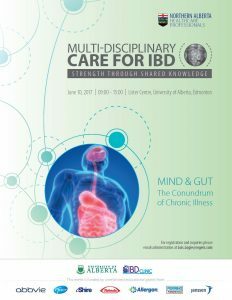 MCIBD is a Continuing Health Education initiative for the Northern Alberta physicians and health care providers who manage IBD. 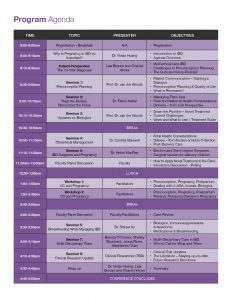 MCIBD is a series of conferences started in 2016, with the aim is to facilitate collaboration and exchange of evidence-based strategies and guidelines to use in clinical practice. Each year, a different topic is selected and guest speakers invited from local and provincial areas. Our international guest speaker is Dr. Van Der Woude, from Rotterdam, a renowned world famous IBD expert who specializes in the management of IBD preconception through to post partum. 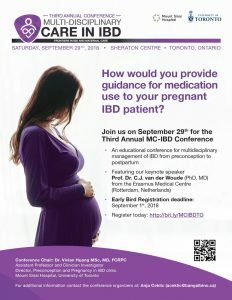 We have a great line up of expert speakers including Dr. F. Habal (Gastroenterologist, Interim Division Director, Toronto General Hospital), Dr. C. Maxwell (Maternal Fetal Medicine Obstetrician, Director of Special Pregnancy Program, Mount Sinai Hospital), Dr. H. MacRae (Colorectal Surgeon, Director of Surgical Skills Centre, Mount Sinai Hospital), Dr. S. Ito (Head of Clinical Pharmacology and Toxicology, Chair of the SickKids Drugs and Therapeutics committee, SickKids Hospital), and our allied health professionals team. The event will be co-sponsored by several pharmaceutical companies. 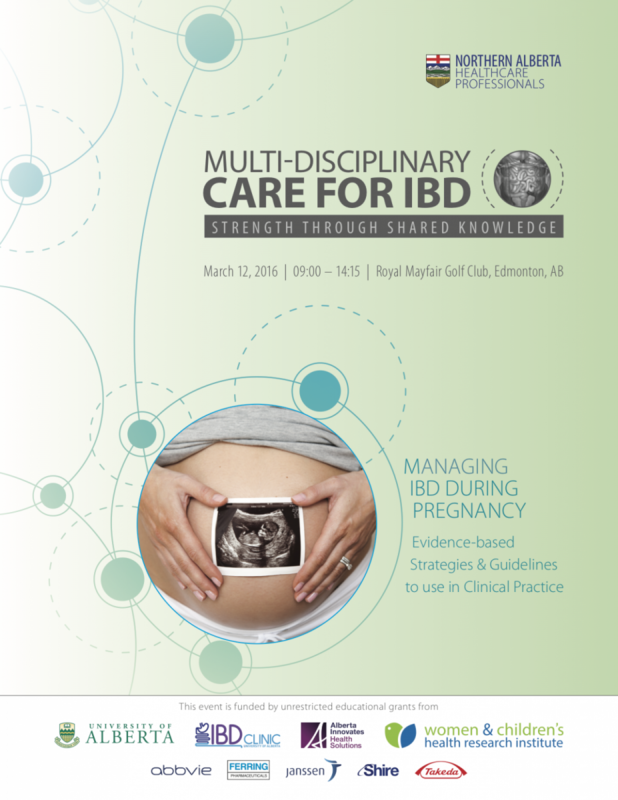 The first MCIBD conference was held March 12, 2016 at Royal Mayfair Golf Club. The conference included a series of interactive seminars, and workshops, led by expert clinicians in IBD management, maternal fetal medicine, obstetrics, general surgery, IBD nursing care, and dietician. More than 40 physicians, nurses, and allied health professionals involved in the care of men and women with IBD attended the educational event. The event was sponsored by AIHS, U of A FOMD, and several pharmaceutical companies (Abbvie, Janssen, Takeda, Ferring, Shire). Attendees were provided copies of the newly published Toronto Consensus Statements on the Management of IBD During Pregnancy, as well as the opportunity to meet experts in the field and ask questions.